Few go to a Strindberg play looking for an harmonious depiction of the sexes and this co-production between Emily Dobbs' Jagged Fence and Making Productions, while sharp in its execution, won’t do much to radicalise expectations. Written in 1887 by the deeply embittered Swedish playwright, on the brink of marital separation and in a fashion that has triggered many autobiographical interpretations, The Father pitches husband and wife into a dark custody battle that predates paternity tests and equal rights. Laurie Slade’s modern adaptation – requested by his friend, theatre director Joe Harmston for a 2012 production – is driven more by collaborative forces than real-life drama, but it retains the original’s antagonistic bite. Director Abbey Wright takes the reins for this intimate production with great success. While the Captain’s last-minute attempt to break the fourth wall doesn’t sit well with the play’s largely naturalistic style, Wright’s depiction of conflict – whether that be between husband and wife, mother and daughter, or father and child – is as stylish as it is evocative. As the warring characters face each other in mirror image, Wright clouds the dialogue’s clear oppositions with vivid visual similarities. Thomas Coombes is a treat as Nöjd, the playful trooper who, if rumour is to believed, has impregnated a member of the Captain’s staff. While Nöjd is unable to deny a certain degree of intimacy, it is beyond his power to prove whether or not the baby is his. Coombes excels at lacing Nöjd’s crude, pastoral expression - “no guarantee that a night in the hay means a bun in the oven” - with a cheeky, modern charm, furnishing Slade’s notion that this is “a modern play, which happens to be set in the C.19th”. What seems like idle gossip transforms into psychologically taut obsession as the play pulls towards its inevitable conclusion. 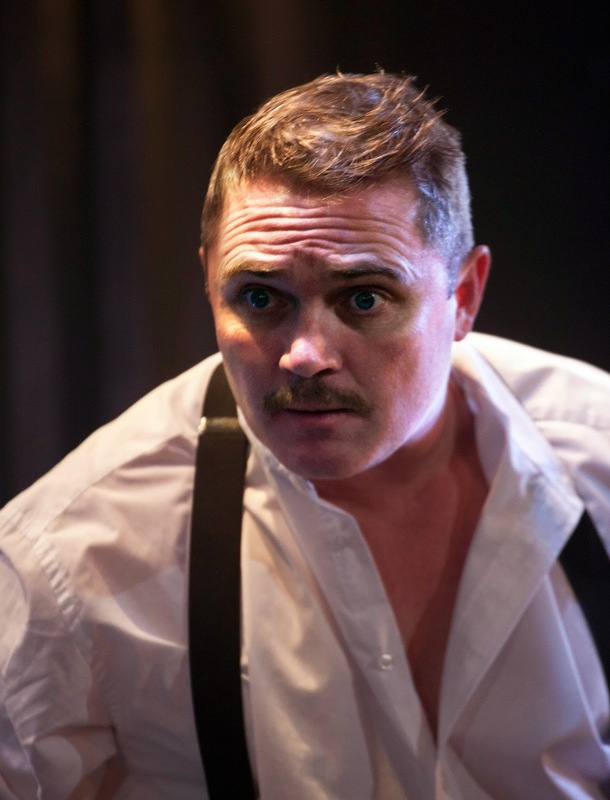 Just as Nöjd doubts his lover’s fidelity, Alex Ferns’s dazzling Captain ploughs his own memories, as he questions whether young Bertha, who calls him ‘Papa', is actually his issue or was in fact conceived by wife Laura (excellent on-stage work from Dobbs) during a lovers' tryst. Ferns is vibrantly volatile and while other characters are equally paired in their disputes, he retains a chilling control over the tempo of the piece. While the relationship between the Captain and his wife provides the thrust of this narrative, and the Captain and his Doctor (Barnaby Sax) are splendidly matched as rivals, it is the tender and trusting affinity between Captain and Nurse (June Watson) that brings the strongest emotional clout: “rest your breast on my chin”, the Captain commands his attendant, as a redundant Laura looks on jealously. This gentle, strikingly maternal relationship is complemented by James Turner's set and Gary Bowman lighting, all stripped-back, monochrome as a Gothic aesthetic gradually melts into warmer reds. Husband and wife may be “black and white...different species” but there’s a faith in relationships and the power of one gender to sooth and complement another. While this production doesn’t fall far from Strindberg’s tree, it’s a well-designed and interrogative take on an unfashionable play.